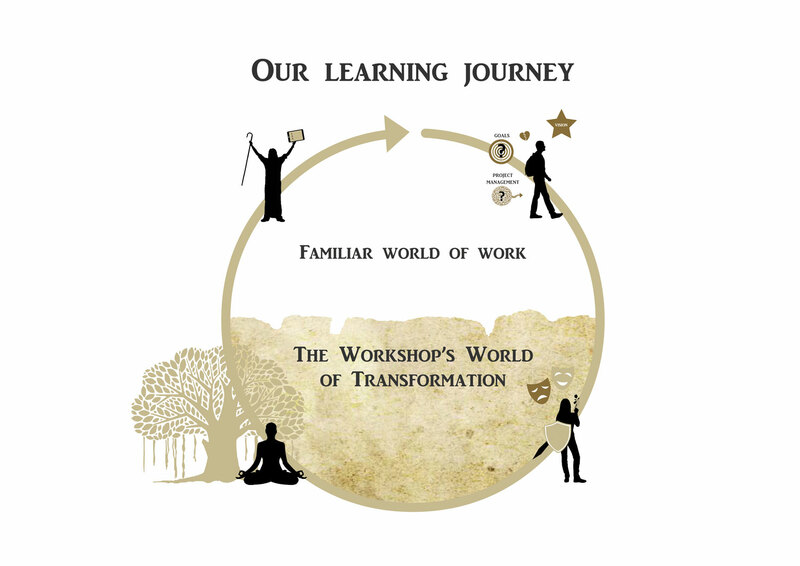 Welcome to our learning journey! The Swiss Agency for Development and Cooperation strengthens its institutional knowledge development through its thematic networks. In August 2017 the two networks on Conflict and Human Rights and on Democratisation, Decentralisation and Local Governance invited their members and interested colleagues to this learning journey. Now we invite you to explore our event page. Read short presentation summaries from the invited experts. Download background documents. Watch the full presentations on each topic. Or download the final workshop report. Oversight institutions are part of the accountability systems of their country. They vary in their focus on transparency and answerability of state authorities, and their relations to other accountability actors (such as the parliament, the judiciary, media, NGOs) may differ. And now, let's start learning! Scroll down to learn about one of the 5 workshop topics. Anti-Corruption Agencies (ACA) are public bodies of a permanent nature, with a specific mission to fight corruption and reduce the opportunities for its occurrence, through preventive and/or repressive measures. 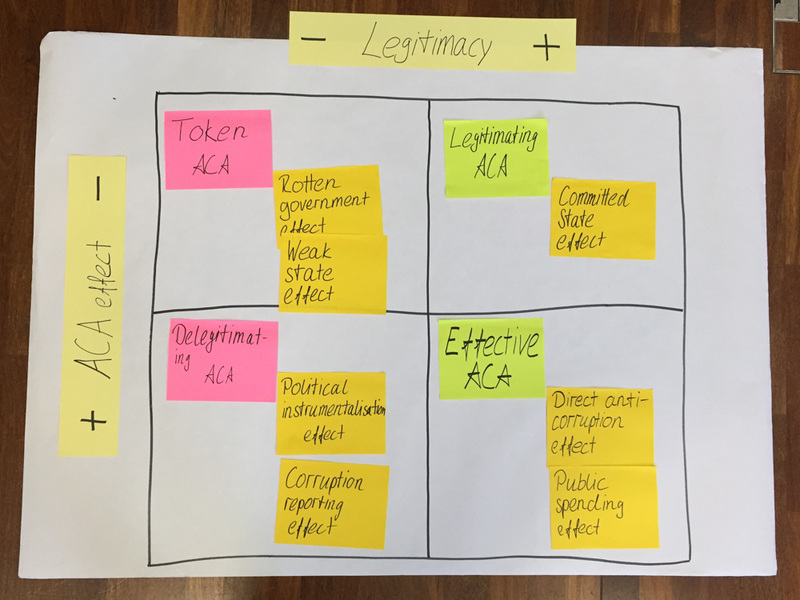 The ACA’s functions depend on their mandate, and typically include: receiving and responding to complaints, monitoring and investigation, prosecution of cases, research, analysis and compliance reviews, public information, education, coordination. While there are no binding international standards or obligations to create an independent ACA, the Jakarta Statement (singed by heads of anti-corruption agencies in Jakarta in 2012) enumerates some principles for ACAs (Read the document in the document section). What role do the donors play? Sofie Schütte from U4 Anti-Corruption Resource Center stresses the importance of the Donors' role: They should start from the actual mandate and capabilities instead from blueprint approaches and predetermined expectations. They should be careful with taking on visible front-line activities, for example major corruption cases, if their structure and processes are dysfunctional. Donors need to analyze the ACAs strength properly. Often donors tend to overload institutionally weak ACAs with specific tasks and provide funding that the institution is not able to absorb. Neten Zangmo talked about her experience as the former head of the Anti-Corruption Commission in Bhutan. For her commitment and personal engagement is key to fight corruption. To help her colleagues to shy away from temptation the commission elaborated “10 commandments” based on its mandate to define its own ethics and approach (find the document in the document list). Success was only possible because there was political willingness to fight corruption, within the ACA and more broadly, in political leadership and the judiciary. This video was shared with the participants prior to the workshop to set the stage. The video has been produced by rappler.com, a social news network where stories inspire community engagement and digitally fueled actions for social change. This animation will introduce you quickly to the role of the supreme audit institutions. Natalie Bertsch from SECO (Swiss State Secretariat for Economic Affairs) works with SAIs around the world. She stresses the importance of strengthening the system of Public Financial Management (PFM) of partner countries. PFM cycle includes the budget formulation, the budget approval by the Parliament, its execution, and finally its control. To this goal SECO supports the International Organisation of Supreme Audit Institutions in developing the performance measurement framework (PMF). 25 performance indicators are set in the following six domains: independence and legal framework, internal governance and ethics, audit quality and reporting, financial management, assets and support services, human resources and training, communication and stakeholders. These assessments can be used for evidence-based assistance and budget support. To learn more, please visit this web page of the International Standards of Supreme Audit Institutions (ISSAI). Natalie concluded with an example from Mozambique where SECO together with the World Bank established the SAI capacity development fund. In the case of Serbia, Petar Vasilev shares the experience of SDC’s support to the SAI that reports to the parliament and supports the parliament in fulfilling its oversight role. The Paris principles are the reference framework defining performance criteria of NHRIs (you find the principles in our documents section). Based on their constitutions as well as their commitment to the ratified international human rights treaties states have committed to implement human rights in their national systems. However, there is a compliance gap, and many states have no institutional set up for effective implementation, despite of their human rights obligations. Marie-Louise Johannessen, Danish Institute of Human Rights (DIHR), explaines that while the obligation to implement human rights is with state authorities, NHRIs are the lighthouse to monitor all different stakeholders in the executive, legislative, judicative, and even in society. Musa Mahmodi, the executive director of the Afghan NHRI, demonstrates that the NHRIs can make a difference, even in a very challenging and violent context. The NHRI started in 2002, from scratch, with no logistics and staff, and in a difficult environment of massive human rights violations. Thanks to the support of donors his institution established itself and made itself accessible to the public. Today, the NHRI has 550 staff, with offices nationwide. The Afghan NHRI has a strong constitutional mandate, with the power to monitor, investigate and receive complaints, and assist victims in legal processes. By presidential decree the mandate is even broader with strong links to the Paris principles. Still, the NHRI faces huge challenges: war and regular massacres constitute a difficult working environment, and it is very difficult to uphold human rights values and obligations in such an environment. To set the stage, this video was shared with the participants prior to the workshop: a short documentary about the work of the human rights commission in Nepal. To view this video in other languages, choose from this YouTube playlist. POUR LA VERSION FRANCAISE, CLICKEZ ICI! Electoral Management and Justice Bodies (EMB) are key pillars of democratic societies. The main purpose of elections is to provide credibility and legitimacy to power holders and officials. But as Sead Alihodzic from International IDEA stressed, elections can go wrong, easily and frequently. And if a country does not have stable institutions this may lead to serious problems. What is the role of the donors? For donors it is most important to take a holistic look at the electoral cycle (not only at the election phase itself). Sead stresses the importance of institutional capacity strengthening of EMBs. They should be capable to manage risks, ensure sustainability of EMB structures, evaluate results and share them - with a view to learn from their experience. How to keep your impartiality? And now a concrete example! Me Barthélémy Kéré, former chair of the Independent Commission on national elections (CENI) of Burkina Faso, shares his experience. As a principle, CENI always invites political parties and civil society to observe its work, with a view to ensure transparency, quality and credibility of the process. An international audit also ensures that international standards of voter registration are met. During the past elections, CENI’s strategy to keep impartiality and gain credibility was to strictly follow its own rules, with no room for favoritism. Consultations were always made, and CENI took decisions based on the synthesized positions of parties, weighted according to political power. In general, consultations and open communication with stakeholders have been key for the credibility of the CENI and the effectiveness of its work. The main challenge in terms of the past presidential election was to compile and communicate the election results the day after election. Withholding the results for too long, leads to a deterioration of credibility. We have learned a lot during our learning journey. We have established new personal connections with colleagues and experts working on these topics. How can we use this knowledge in the future? Corinne Huser (DDLGN) and Inanna Göbel-Boesch (CHR) synthesize the three days and draw conclusions for the two networks. How can donors support independent oversight institutions? We should support partners to navigate and play their role in the system, make them cooperate with other stakeholders. A clear mandate, appropriate resources and procedures are key for the institutions’ success. Donors must respect ownership and independence of these institutions and not interfere. Avoid undermining their credibility. Acknowledged standards are important for ensuring the institutions’ proper functioning and credibility. These standards can help donors to assess the current status of an institution and serve as a reference frame for our support and the policy dialogue with governments. We should be fair and asses the performance of institutions according to their mandate – taking our own expectations and results framework as a reference. Let’s be modest, and adapt to the context, if we decide to engage. In terms of results and measuring progress and impact of the work of national oversight institutions Inanna stresses the importance of being modest and consider small steps and changes in attitude as relevant results. We have to keep in mind that these institutions are part of a system – and if the system is dysfunctional, we can’t fix it through oversight only. But we can expect them to identify and analyze issues and concerns, find evidence, and provide orientation for the way forward. After all, oversight ensures key values of democracy, legitimacy of the state, and good governance. The learning retreat is not only a moment to pile-up new knowledge. It is also a moment to reflect on on our everyday work process. What does it take to be better at what we do? 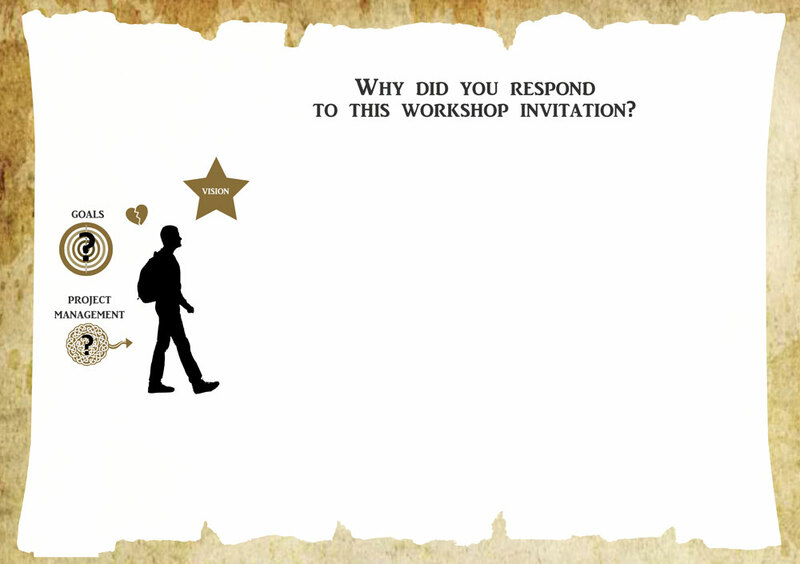 For this we take you on a learning journey asking you 4 questions to reflect upon during the period of the workshop. What has each of us learnt? We have collected all your replies. We hope the list will help you to remember. 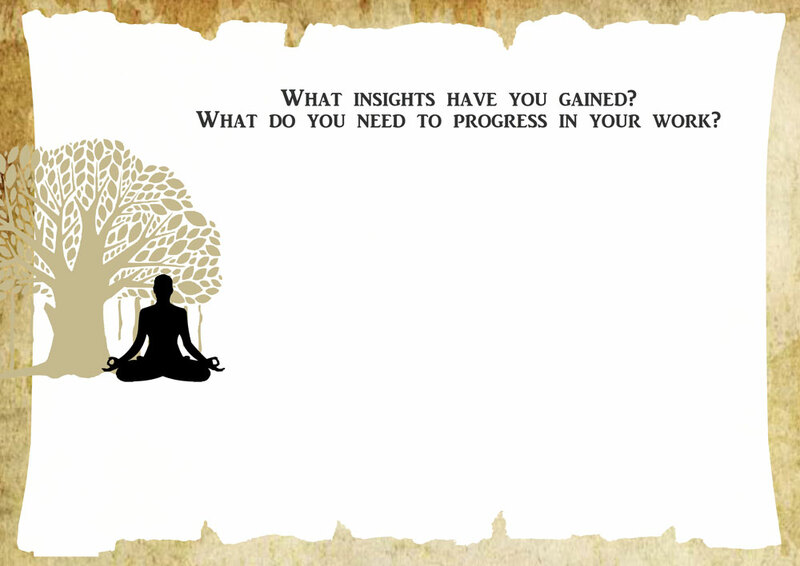 Have you managed to integrate your learning in your everyday work? 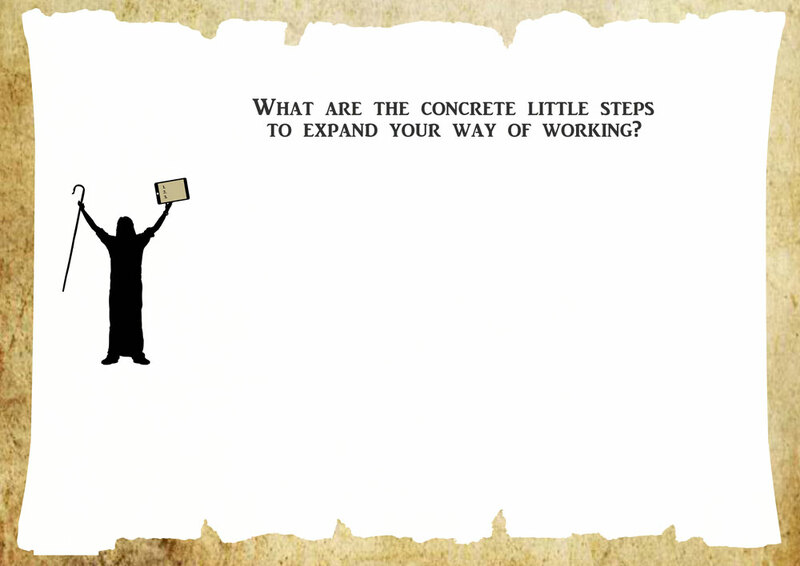 You can scroll down right to the last question to find your answer to "What are the concrete little steps to expand your way of working?" Confident with the organization staff; Give to exchange and good practices and experience; As a big traveler I didn’t know Bern yet! Coming from a democratizing country context where institution-building is a struggle, I wished to gain a more academic, technical understanding of oversight institutions. Also to gain comparative insights through networking. 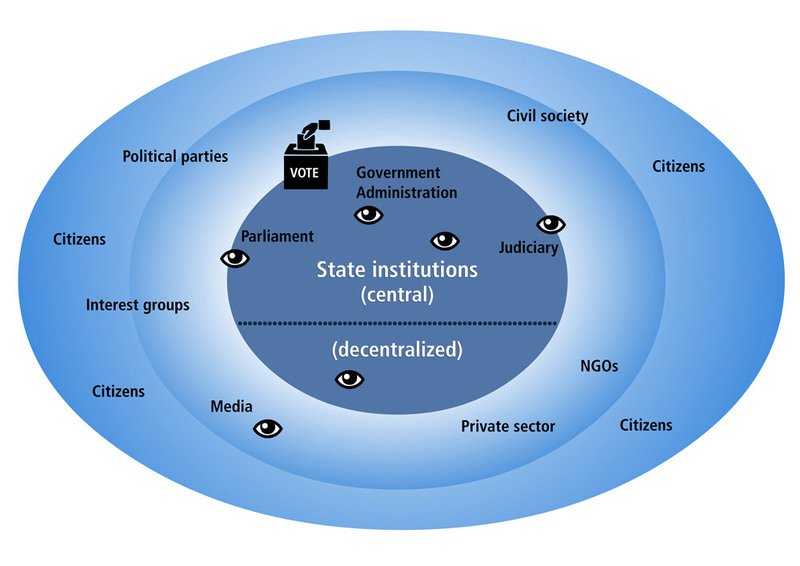 Opportunities: Lots of donors’ interest in good governance so opp for synergy, combined resources; Capitalizing on the evidence for connection b/w legitimacy of a state and strength of oversight institutions (motivations). Limitations: Easy to be perceived as suspicious for support NHRI especially; Heavy politicization of most institutions. Vested interests. Opportunities: Foster alliances to enhance the public debate aroung corruption (engage other partners of ours); Raise good governance in priority sectors of development cooperation by connecting them to the ACC. Limitations: SDC cannot safeguard independence of ACC; supporting ACC is also exposing it to reprisals without having the means to protect them. La principale limitation que j’avais avant ce jour était une compréhension limitée des organes de lutte contre la corruption. J’ai découvert la possibilité de travailler avec eux moyennant l’adaptation à leur situation, à leur objectifs et leurs défis. 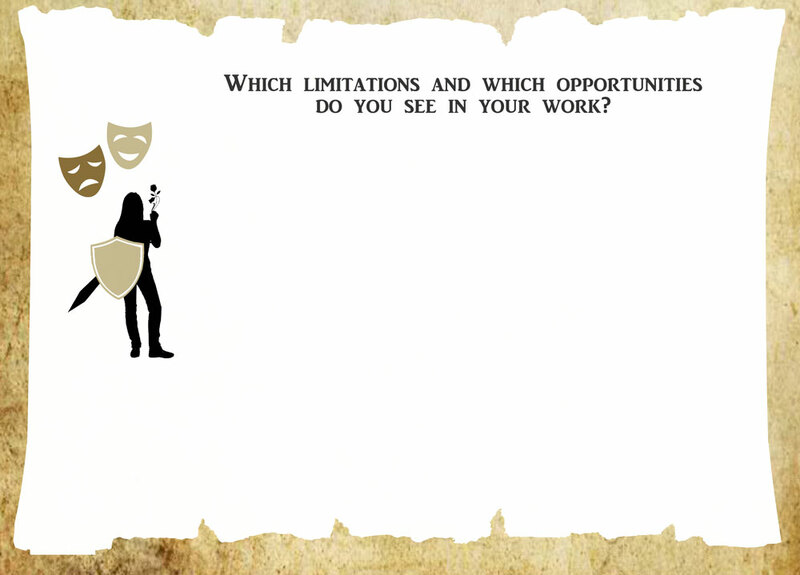 J’ai également appris des opportunités d’améliorer mon travail avec la méthodologie participative de la modération interactive entre les animateurs et avec les participants. Enfin le flipchart autoadhésif représente pour moi une nouveauté permettant plus d’efficacité dans les formations. Limitations : operating in an adverse environment (mainly from the executive) ; Opportunites : a national momentum (in Tunisia) on the fight against corruption. An NHRI is not/should not be an island. Its relationships with other (state and non-state) stakeholders in the “easystem” need to be matured. Friends and champions of the NHRI need to be sought out. Découverte: les commissions nationales des droits de l’homme marchent bien dans certains pays comme le Népal et l’Afganistan. Elles peuvent donc bien marcher. Ne craignons pas l’influence politique qui peut être un avantage. Il faut actionner les organisations de la société civile pour les influencer avant un changement positif de même que les médias qui s’allieront à des personnalités ayant un leadership. SAI & NHRI : both are great institutions to be able to work with – and publics ; Need : blow to apply and support SAI-NIRI to be more independent org. I integrate some of Nadia’s knowledge in my unity exchange and try to get at least one “story” for every technical exchange. Elections: catching up lessons tirées des dernières élections ; Comment xxxxx au cycle électoral avant le rush de la période proprement dit ?